← Religious Affiliation and Who’s the mom? When I first examined the microfilm copy of Clent parish registers back in 1998, I wondered if this couple was connected to the Wilson family of Walton, Clent, from whom I am descended. So, did William Wilson, the nephew and main beneficiary, marry his first cousin once removed, Catherine Hanbury? Sadly, parish registers of this period do not generally record ages of the nuptial couple. 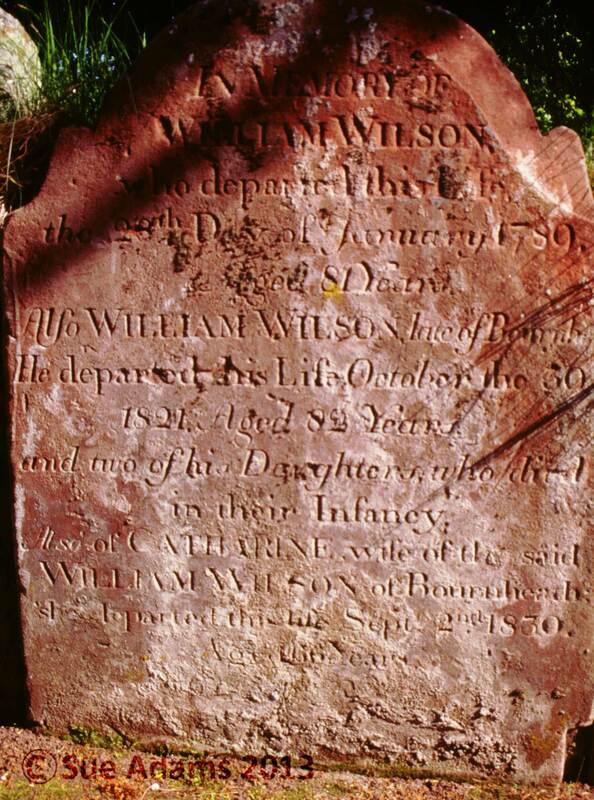 However, William of Walton shares a gravestone at Clent with a couple named William and Catharine. she departed this life Septr 2nd 1830. The inscribed age of Catharine is worn, so I am not sure if it is 66 or 86. The former suggests a birth year of 1764, making Catherine 25 years younger than her husband (born ca. 1739). The age difference is consistent with the relationship suggested by the will. The FamilySearch baptism index confirms that a Catharine Hanbury, daughter of John and Grace Hanbury was baptised at Halesowen, Worcestershire on 17 October 1764. The pieces are fitting together quite nicely, but I have not yet made a connection between the gravestone couple and the Hanbury family. Note the name of the third son, Hanbury, which suggests a connection with the Hanbury family. So, it is looking very likely that William Wilson did marry his 1st cousin once removed, Catharine Hanbury. Next steps include investigating property records, electoral rolls and possible connections with the marriage witnesses, the Price family.